FREE Sharpie Assorted 12-Pack Permanent Markers! Create bold expressions with Sharpie Permanent Markers. Don’t miss the opportunity to grab these FREE Sharpie Assorted 12-Pack Permanent Markers for new TopCashBack members! This set of 12 colorful permanent markers is ideal for making lasting marks that stand out on nearly any surface. Featuring a durable fine point, the Sharpie markers allow you to draw precise, enduring lines. The quick-drying ink is both smear and fade resistant. Express yourself with Sharpie markers! Spend at least $9.54 or more via this special link —> TopCashBack and get $9.54 in cash back! Click on the “Get Offer“ button and it’ll take you to Jet.com. 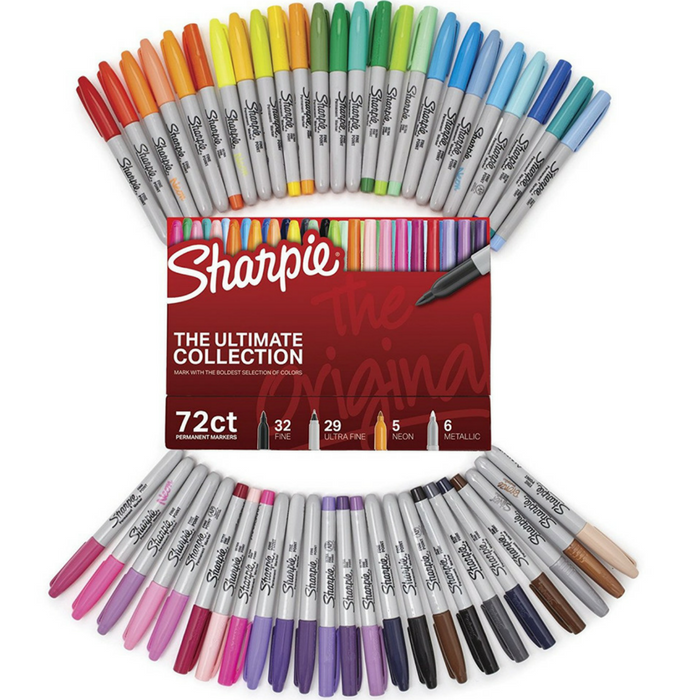 Add at least 1 “Sharpie Permanent Markers, Fine Point, Assorted Colors, 12 Count” from Jet.com to your cart then shop as normal and checkout. If the price changes or anything happens to the stock, the deal is officially over. Once you checkout, transactions may take up to 7 days to appear in your TopCashback account. In about 14 days, $9.54 will post in your TopCashback account. Important: The deal is open until 11:59pm PST on 09/15/2019 or until supplies run out; whichever happens first; applicable for purchases made directly after clicking through TopCashback. Only one TopCashback account is permitted per member. 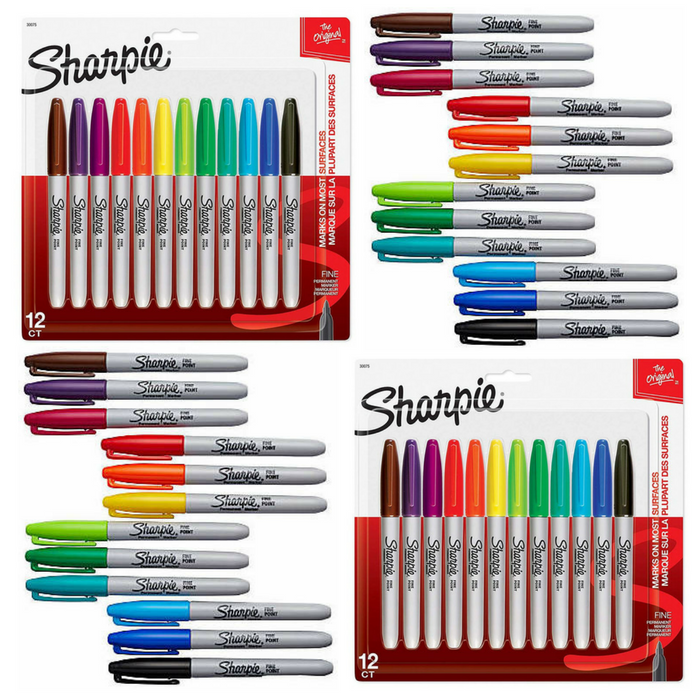 Sharpie 72-Count Markers Just $26.99! Down From $50! PLUS FREE Shipping! Check out this Sharpie 72-Count Permanent Markers which is on sale at Amazon for just $26.99 down from $49.99 PLUS FREE shipping! Bravely break away from dull and boring with the ultimate collection of proudly permanent, vividly brilliant Sharpie Permanent Markers. This fully-loaded collector’s edition set comes complete with 32 fine tip and 29 ultra fine tip markers in boldly original colors plus 5 electrifying neon markers and 6 stunning metallic markers. Made to mark, stand out, and stay on practically any surface, it’s the permanent marker born for unique, courageous, outrageous self-expression that always leaves a memorable impression. 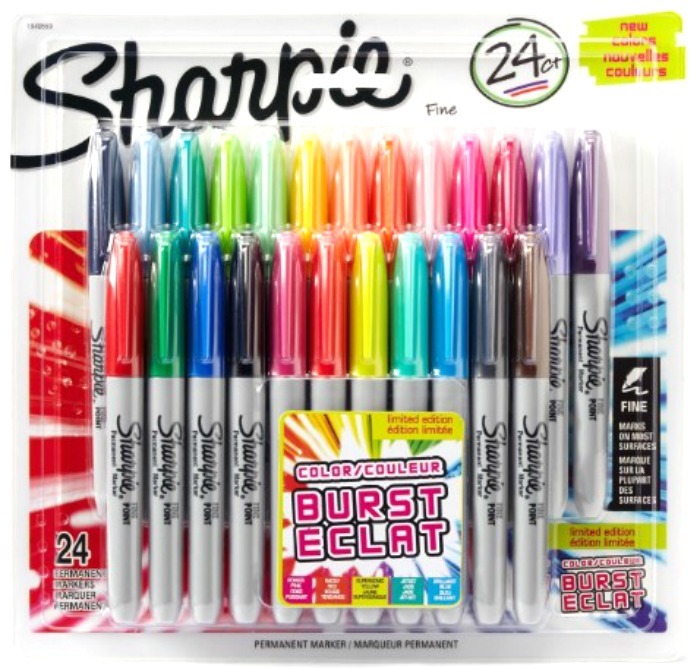 Sharpie Color Burst Marker 24pk Just $11.09! Down From $23! Right now you can grab this great deal on these new color Sharpie’s! Get this 24-pack of Sharpie Color Burst Markers for just $11.04! Down from $23!